At these amazing flea markets in Rhode Island you’ll find more than just a jumble of odds and ends for sale! With a unique and varied array of goods and collectibles, shoppers scouring the markets will come across intricate works of art, paintings, stamps, and jewelry in addition to a number of low-cost household goods, books, toys, games, clothes, and furniture. 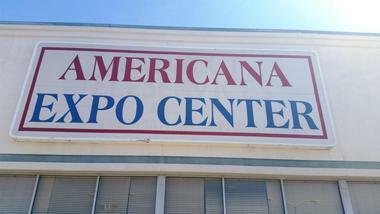 The Americana Expo Center hosts a flea market and thrift consignment store that is usually open on weekends from 9:00 a.m. to 5:00 p.m. Shoppers will find it to be a one stop shop for everything from clothes and shoes to jewelry and home goods. There are tons of knick knacks that can complete a house or wardrobe collection. Their collection of antiques is priceless and can range from works of art to wooden furniture pieces that are unique and priceless. Car lovers will find an extensive collection of audio equipment and automotive parts at throwaway costs. Admission is free on Saturdays and 50 cents on Sundays, with unlimited free parking in the adjacent lots. 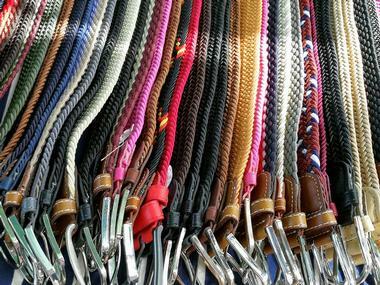 The Bald Hill Flea Market also doubles as a discount store and has goods that will appeal to the entire family. They are usually open Fridays from noon to 8:00 p.m. and weekends from 8:00 a.m. to 5:00 p.m. The flea market is an integral part of the community, and in addition to selling various items at low costs, it also provides a place for friendly people to get together and spend the day. Constantly described as a hidden gem in Rhode Island, Bald Hill is the place to go for toys, books, clothes, household items, and much more. They even a host an auction every Thursday from 4:30 p.m. onwards and have a large collection of art, antiques, and cars available. Recognized at Rhode Island’s #1 flea market and auction center, Bargain City is fun for the whole family. There are over 100 vendors present, as well as two food courts and monthly grocery auctions. Shoppers will be able to find all sorts of items such as household goods, furniture, outdoor items, clothing, toys, frozen foods, dry goods, and more. Sometimes, there’s even live entertainment and special events scheduled during the market. Bargain City is usually open from 9:00 a.m. to 5:00 p.m. on weekends, and admission into the flea market is absolutely free, as is the parking. 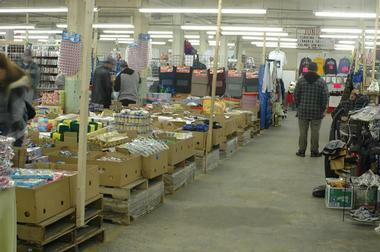 The Bargain Fare flea market and discount store can be found in Woonsocket, Rhode Island. Since 2001 it has been an integral part of the community, providing necessary products and services at lowered costs. The flea market is filled with clothing, jewelry, toys, kitchen goods, household items, furniture, automotive parts, gardening equipment, and much more. The entire family will love spending the day at Bargain Fare, looking for great deals and exploring unique goods that can’t be found anywhere else. You can walk away with some amazing items for low costs after shopping here. Usually open on weekends from 9:00 a.m. to 5:00 p.m., the Big Top Flea Market is a large space filled with an array of goods. Admission is free on Saturdays and 50 cents on Sundays, with free parking available. The indoor market is filled with aisle after aisle of vendors offering items such as purses, shoes, clothes, toys, as well as goodies and collectibles from the 70s and 80s. One of the most popular vendors at the Big Top Flea Market sells systems and games that can be difficult to find in other stores. 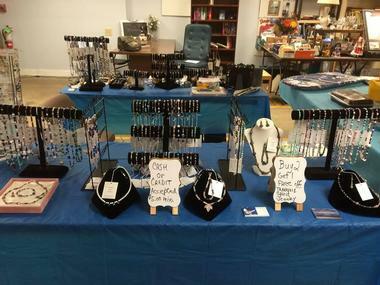 Other items include antiques, unique knives and swords, a large collection of books, some furniture, and phone covers for a large number of makes and models. A flea market filled with vintage items and antiques, the Newport Flea Market is a popular place to shop if you’re in Rhode Island. Not only is it great for buyers, it also attracts numerous sellers, traders, and collectors as well. Admission is completely free, and there are a lot of unique finds in addition to the usual clothes, toys, and household goods. 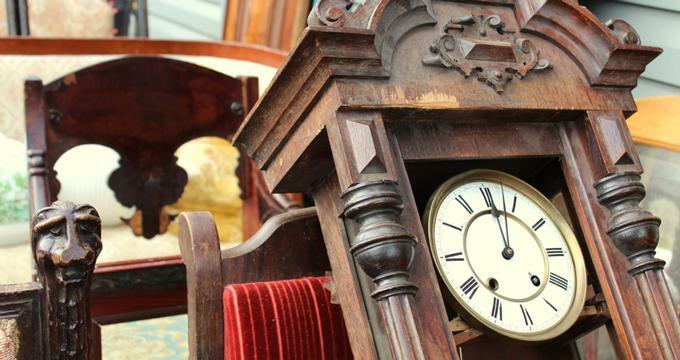 Occasionally, they host an antique show and sale that offers incomparable finds such as pieces of art, authentic furniture, cars, and much more. Shoppers will find several new and antiquarian books there on a regular basis, making it perfect for both casual readers as well as collectors. 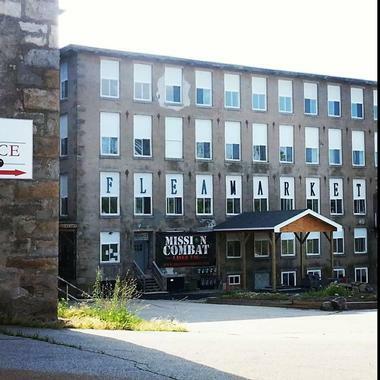 One of the most recommended in the area, the Old Mill Flea Market houses an amazing array of new, used, collectible, and antique items. Visitors will be able to find records, books, art, furniture, household items, decor, toys, clothing, shoes, jewelry, and much more. Some of the more unique items even include wicker furniture and taxidermy. 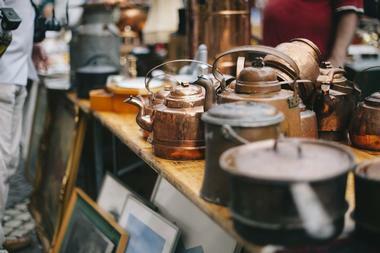 You can spend hours browsing aisle after aisle of vendor tables filled with odds and ends. There are so many good finds all at reasonable prices, and because the items are constantly changing, you’ll find something you love each and every single time you visit. 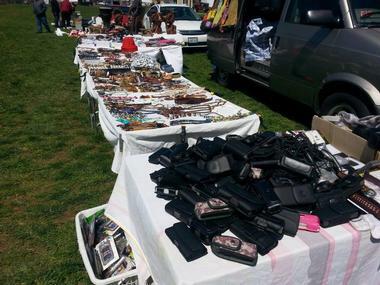 The Plainfield Pike Flea Market is hosted in over ten acres of outdoor space, and it houses more than 500 vendors selling an array of goods. The market is usually open on Sunday from 6:00 a.m. to 3:00 p.m., and both admission and parking are 100% free to the public. Visitors usually refer to Plainfield Pike as a mini treasure hunt, as there is so much to see and explore that you’re bound to find something you really love. 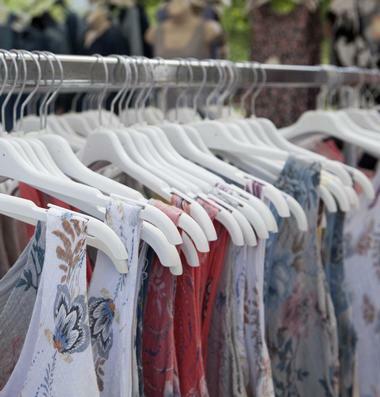 Popular items found at this flea market include clothes, shoes, games, toys, kitchen wares, electronics, makeup, jewelry, handbags, hats, collectible stamps, antique furniture, and many other odds and ends – the list is truly endless. Hosting seasonal markets throughout the year, Providence Flea will soon be closing doors to its spring market and reopening its outdoor summer market. The market is usually open on Sunday from 10:00 a.m. to 4:00 p.m. Visitors will find many items that catch their eye, whether it be vintage clothing, antique furniture, or some new clothes and books. 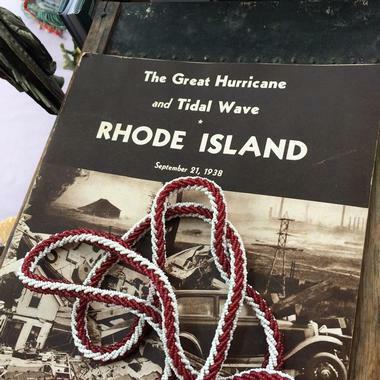 In addition to the resellers, many of the vendors at Providence Flea are creative entrepreneurs who make their own wares or artwork such as knitted goods, paintings, or jewelry. The lively atmosphere attracts more than buyers since it is usually filled with musicians, food trucks and carts, community non-profits hosting events, and much more.